My game is radical because of the way the story progresses. The player has a few options to progress forward in the game. They can either side with the thieves or they can side with the City Watch, which is where they start out. The player is faced with the problem of choosing sides. They start out working for the City Watch which is the “morally good” option to choose. They stop crime after all. But the player has many options to steal and take things that are lying around. The more the player steals, the farther they are pushed away from siding with the City Watch, and the closer they become to the thieves. There is no “right or wrong” way to play the game, it really depends on how the player wishes to play the game. Choosing to a side pushes the player away from the other one, but neither side is technically better than the other. Currently implemented into the game are few hit boxes that help push the idea of stealing. However, I plan to add more hit boxes with different events. Right now the one that I have in the town scene involves running into a different looking tile on the ground, causing it to break open and reveal valuable jewels that the player then takes (or not take). I am planning on adding some other events besides conversation triggers into the town scene. I want to have an event that occurs where when the player passes by an alley, they see a crime going on. It could possibly be a mugging or some sort of violence, but the player can choose to get involved and put an end to it, or turn a blind eye and let it continue. Another event that I want to occur is when the player collides with the rat in the town, I want the conversation to play where it gestures for the player to follow and then I want it to walk off screen. This would provide a bit of guidance for the player to go into the sewer scene of the game. I want events to provide choices for the player to decide how they want to play the game, and I also want the events to guide the player a bit. In the sewer scene I also want to have a few events occur. I want to have the player break off tiles from the wall to reveal more hidden objects similar to the event in the town scene. I might implement two of those because the sewer is the entryway to the Thieves’ Guild. I want there to be more implication that the player is approaching the thieves. I also plan to add an event that triggers when the player gets too close to the sewer “water” where jewels and certain stolen goods float by. 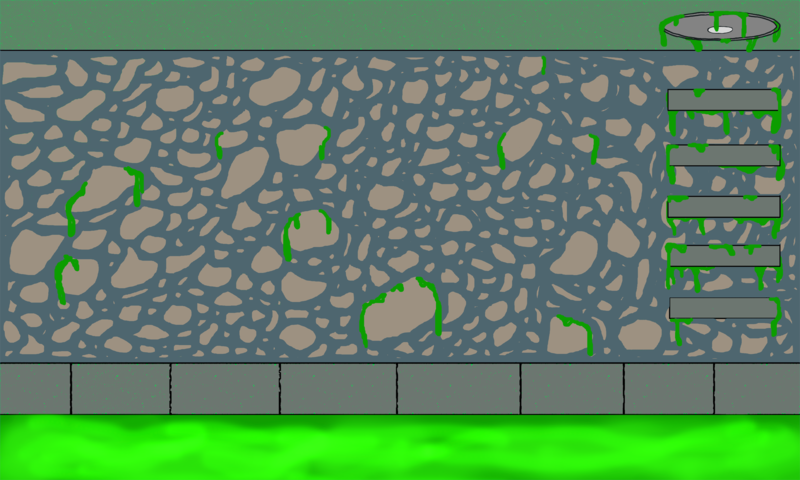 I also have a battle scene that triggers in the sewer where the player can fight the rat or other sewer monsters that guard the Thieves’ Guild. I have not thought about using events as a way to surprise the player. I think that the random encounter that triggers the battle scene certainly has surprised players that have tested my game. Other than that I am not sure that I have many things that are surprising. I want to have things surprise the player, whether it be the story or events that occur, but I am not sure how I want to do that. I am not sure what would surprise someone playing my game. I would like to think that my game is entertaining. I hope that people that play my game have fun. During the Game Night where people were testing out my game, it looked like people were enjoying themselves while playing. I think that my characters are entertaining, they are all different and quirky. The interactions that the player has with them are laced with humor, and the characters’ designs can be funny. I think that having a giant, mangy rat in the town is unexpected and makes the game more interesting. 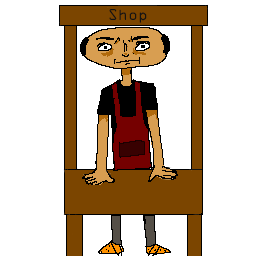 The shop-keep also has a grumpy and creepy personality to him which provides some humor into the game. There are a lot of things that are keeping the game alive for me. There are many things that I want to keep adding to the game, and there are characters and maps that I still want to put into the game. I want there to be a lot of choices in the game, and I want the player to feel like there is plenty to do in all of the levels, regardless of whether the game is complete. The main thing that keeps the game alive and makes me want to continue working on it is the idea of making a complete game. A lot of the games that I play are RPG style games and they are always inspiring new ways in which I can improve my game.